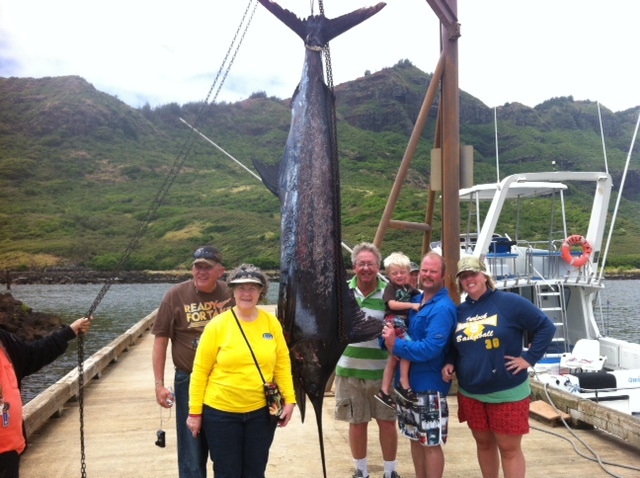 Join us on the Mele Kai for an unbelievable deep sea fishing experience. 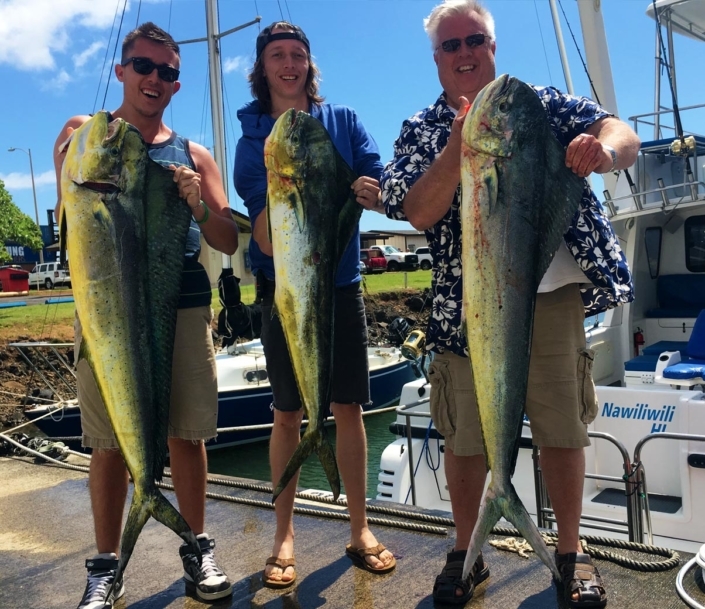 You’ll want to remember the joy of fishing in Kauai forever, so make sure to bring your camera and document all of your great fishing action. 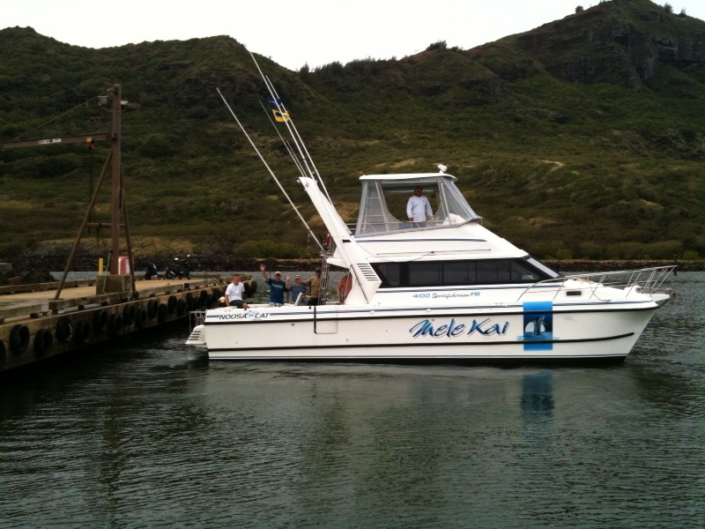 Below you will find our complete Kauai fishing charter price list. Rates are based on a maximum of 6 people (by law we can only take six passengers). 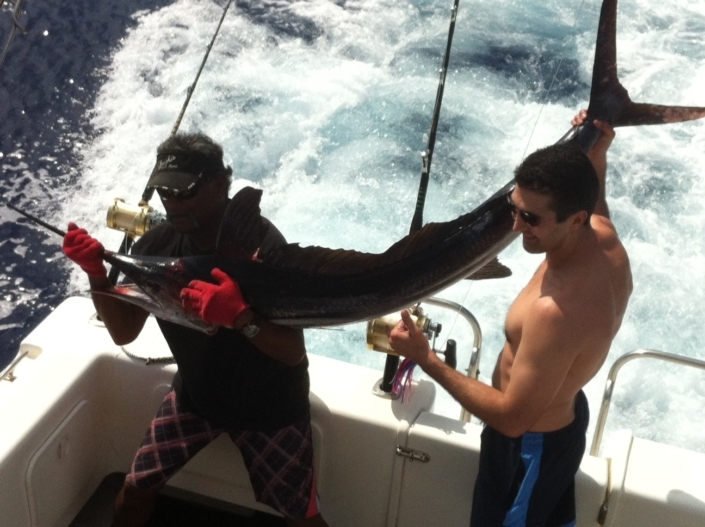 If your fishing party is larger than 6 people, we can arrange for as many additional boats as needed. 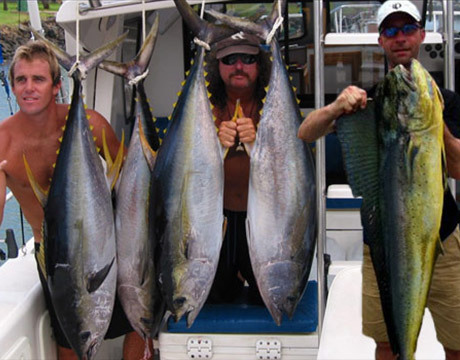 Clients must supply their own food and beer. 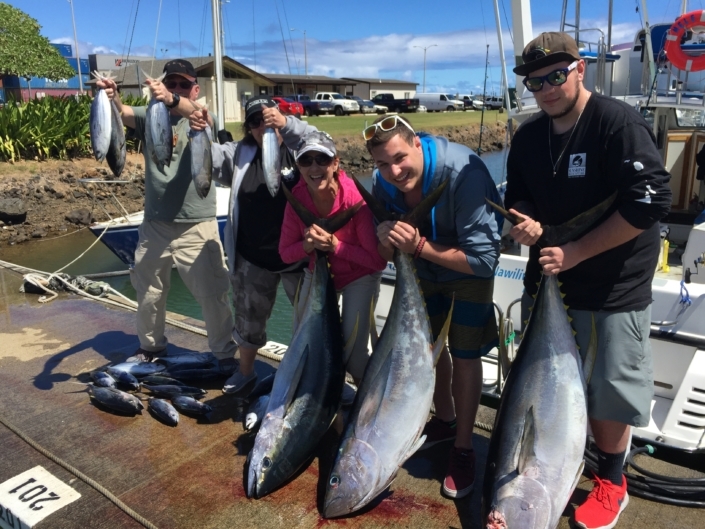 We do not recommend sportfishing for pregnant women or people with back problems without a doctor’s OK.
Booking Confirmation: Filling out this form constitutes a booking inquiry only. Based on availability will be able to confirm your booking by phone or email. Cancellation Policy: We must request that you please give us at least 48 hours prior notice of any cancellations. Otherwise, you may be charged for your trip. Thank you very much.